Eclipse 2019: get to know Chile's Elqui Valley - When Is The Next Eclipse? Chile’s Valle de Elqui is for a haven for nature-lovers, hikers and stargazers, and will witness a Total Solar Eclipse just before dusk on July 2, 2019. 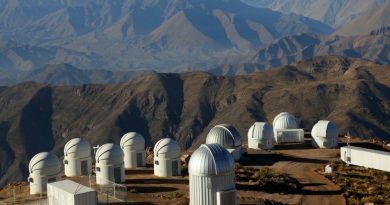 Recognised by professional astronomers for the quality and clarity of its observing conditions, Chile also has a lot to offer stargazing travellers. Luckily, the Elqui Valley (about 500km north of the national capital, Santiago de Chile) itself hosts many professional observatories, and here in the southern Atacama Desert you’ll find some of the clearest possible views of the night sky from Planet Earth. The Elqui Valley is a beautiful place in its own right; about 90 km from La Serena and 470 km north of Santiago, the Elqui River flows through this area on its way from the Andes. This inland region of Chile is a major wine growing area; its arid nature coupled with valleys irrigated by glacial meltwater from the Andes make it near perfect for the Merlot, Cabernet Sauvignon, Cabernet Franc and Chardonnay varieties that grow here. The Chilean national spirit (or is it Peru’s?) called Pisco is also produced in the Elqui Valley, one of the northernmost wine regions in the country. The bright greens of the vineyards juxtapose with the arid, stark mountains above to create a visual treat. Most tours of this area start with a visit to a Chilean pisco distillery to see the production process and sample the liquor for yourself, and then visit the main town of Vicuña. Eclipse-chasers should familiarise themselves with Highway 41, which winds its way to the Argentinian border; a turn-off just before Varillar takes you south to the towns of Paihuano, Montegrande, Pisco Elqui, Cochiguaz and Horcon. “Right now there’s only one road that goes into the mountains that gets us away from the coast – and everybody that is going to that area will likely go on that one road,” says Paul Maley at Ring of Fire Expeditions, about Highway 41 from La Serna up the Elqui Valley. Yes, it’s going to be busy – incredibly busy. “I would recommend being in the valley a couple of days before, with accommodation booked,” says Clarke. Like with an eclipse anywhere, some people get sorted years in advance, and others spontaneously decide to drive into the Path of Totality the day before. Either way, accommodation and eclipse mobility are two major issues for this eclipse if Elqui Valley is your target. This town is most famous locally for the museum of Gabriela Mistral (1889-1957), a famous Chilean poetess and winner of the Noble Peace Prize for Literature in 1945. Chile’s most affordable and popular pisco brand, Capel, has a distillery just outside of Vicuña. When is Totality at Vicuña? About 105 km east from La Serena, at around 1,300 metres above sea level, this is the center of pisco production in Chile – and it’s where you can sample the stuff at a distillery. A post-eclipse dinner, perhaps? Skilled hikers who want to work up a thirst may want to hike up Cerro El Llano (the trail head is in Pisco Elqui) for Totality. The descent takes an hour and a half, which will need to be done in fading light (the eclipse occurs here at 16:38, just before sunset). However, the views over the Elqui Valley from the top of Cerro el Llano are stunning. When is Totality at Pisco Elqui? Clear, strong alcohol spirit distilled from Muscatel Rose, Alexandria Muscatel and Austrian Muscatel grapes, pisco is often used in cocktails; the pisco sour (with ice, lime juice and sugar) and the the piscola (with coke) are common mixers. It’s strong, and it’s cheap; an entire bottle of the popular Capel pisco costs about US$3. Distilleries in the Pisco Elqui area that do tours and tasting include Tres Erres, Los Nichos and Pisco Peralta. A village where free spirits head, the valley of Cochiguaz is accessed from Pisco Elqui. It’s got a bit of a reputation as a hang-out for both hippies, spiritual types and stargazers … and even UFO cults. It’s home to Observatório Cancana and Spa Cochiguaz, and there are a lot of ‘wellness’ places to stay in this area. You can camp near the Río Mágico. When is Totality at Cochiguaz? Just south from Pisco Elqui is Horcon. Many a trip to the Elqui Valley will involve a stay at an ‘astro’ hotel, but only one allows you to stargaze from your bed; the Elqui Domos hotel in Horcon. It offers astronomically-inspired accommodation in a mix of geodesic domes or stilted wooden houses with glass ceilings. However, there are other even better equipped domes on the premises for more informed private stargazing; two motorised domes that house Schmidt-Cassegrain telescopes. Tours begin at 18:30pm, starting with a stargazing session outside before heading into the domes for a look through the professional telescopes. When is Totality at Horcon? If you want to see the Moon-shadow sweep across the land in front of you, you’ll need a big sky and some elevation – and in the Andes, that means getting pretty darned high. One rather tempting option is to attempt an ascent of Turtle Dove Mountain/Cerro Las Tórtolas (29°56’22″S, 69°54’24″W), a 6,160 meters (20,210 ft) mountain right on the Chile-Argentina border, so in the far east of the Elqui Valley. It’s the highest in the region. According to ChileHike.com, this expedition up one of South America’s hallowed Six Thousand Metre Peaks (which begins at 2,800m) to an Incan High Sanctuary allows you to see an Inca trail in perfect conditions, various tambos (Inca lodges), hot springs and – of course – the cleanest skies in the world. It’s not rated as technically difficult to ascend, but cold, wind and altitude can be unforgiving. There’s a shelter at 5,150m from where you can either admit that your body cannot cope with the altitude, or attack the summit. 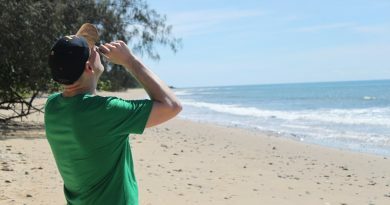 Prior acclimatisation is advisable. The prize is a long Totality of 2 minutes 26 seconds. You can find more about the mountain on AllMountain.cl and AndesHandbook.org. When is Totality at Cerro Las Tórtolas?